After having children, it becomes increasingly difficult for parents to juggle working life / childcare costs – for both mums and dads alike. However, there is another way to earn an income that’s becoming increasingly popular. What is it I hear you ask!? Starting your own business and working from home! Now this isn’t a job advertisement. It’s some information on a handful of mums who decided to take the plunge & start their …..
Small online business’ – with BIG ideas! These 3 lovely ladies own Instagram shops that I genuinely really love! 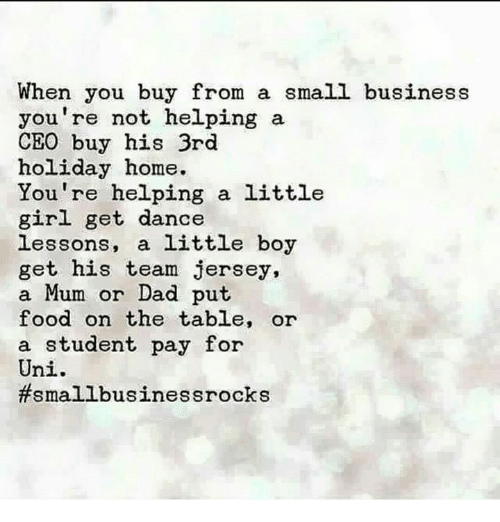 I thought this would be a good opportunity to share with you why I love them & exactly why I love to shop small in general! Firstly, in this world today, it’s forever feeling like the rich are getting richer while the poor stay poor. What better way to start supporting those people around you. ACTUAL people … Rather than huge bosses behind a Brand name that probably exploits their workers all over the world. Secondly, you’ve probably heard the saying ‘Handmade with love’. But that’s exactly what buying from one of these instagram shops means! These mumma’s are so over the moon that you’ve chosen to buy their product …. That they really do put their time, care and effort into making it…. just for YOU! What better service to receive than a personalised one? Now I’m not saying I don’t buy from high street brands, because I do. I love Zara, hnm etc but I can honestly say. 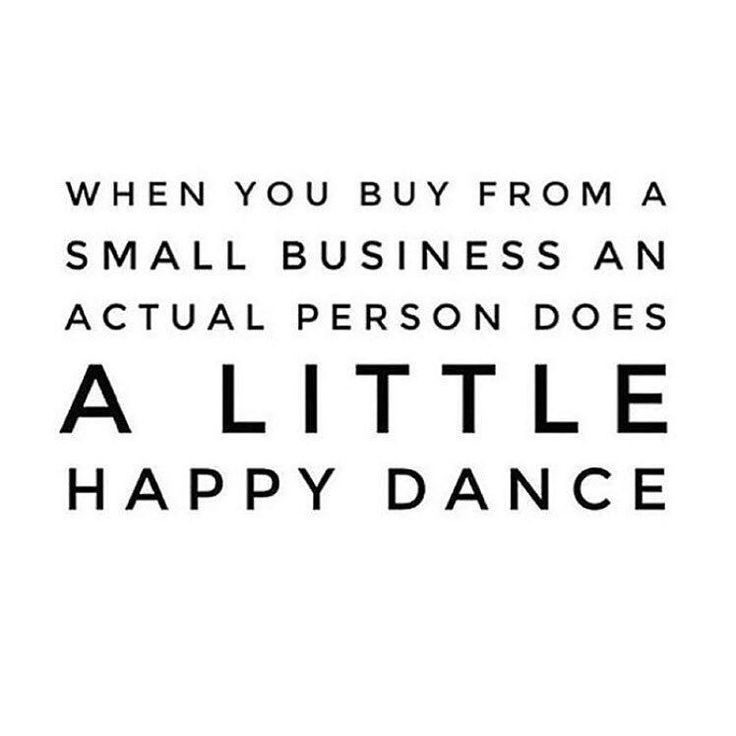 Some of the things I’ve bought from small businesses have been such good quality I’d choose them over the big names every single time! When I stumbled across @ljthehero I instantly thought… Wow I’ve never seen designs like these on a T-shirt before. What a cute idea! Bobby is Toy Story mad, so it didn’t take long to decide that ‘Woody, Buzz & Bobby’ was the winner and we placed an order 🤗. ♥ I’ve washed Bobby’s Black Toy Story T-Shirt at least 3 times now and it’s still as soft and black as the day it arrived. It’s the softest cotton top I’ve ever bought for the boys! Truly. I can’t recommend @ljthehero enough for her service and you don’t get lovely packaging like that from High Street brands! Hi I’m kat, mammy & wife currently on maternity leave, living in Durham. I’m a big supporter of small businesses and my own began with the Goonies inspired Tshirt. I made it for my little boy, we got lots of comments, so I decided to give a little Instabusiness a go 🤗 LJ The Hero is named after my son, Leo Jake! I stumbled across The Paper Peony one evening and straight away was drawn into her beautiful feed. Not only are Chloe’s products stunning, but her photography really captures the best of each design. Not to mention she has good taste in baby names 😜. There are lots of prints available online nowadays, but there’s something unique and personal about paper cut outs. Especially personalised ones. So, when Chloe asked me if I had a design in mind…. I knew exactly what I wanted. Snod and I both have a quote tattooed on us. Hi, My name’s Chloe, I’m 23 and live in a little town called Harwich in Essex. The Paper Peony, first started after the arrival of my little boy – Jaxx in 2016. Since then, I have loved creating individual pieces of artwork. 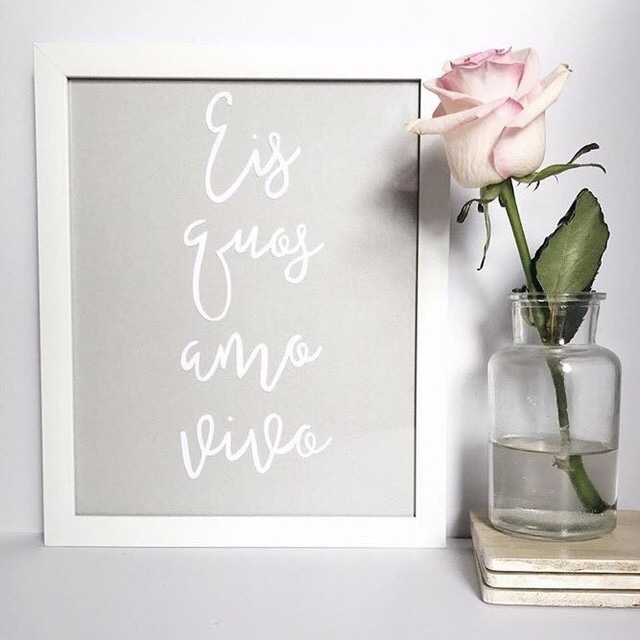 I am hoping to expand the paper-cuts that I offer so that there is one to suit every occasion, anniversaries, weddings, engagements, birthdays and new arrivals. As everything is hand cut your paper-cut may vary slightly to what is seen in the photographs but this just means that yours is the only one like it in the world – Which makes it a little more special! I saw this Adventure design and straight away knew I was going to like this page! If you’ve got a little girl @tinysproutco are perfect if you’re after something glitsy.. say for a cake smash or birthday celebration as she can print in glitter!! For my boys however, we LOVE a onesie!! So after a chat with Devon, a few days later this arrived! Honestly… Bobby won’t take it off! The inside is sooooo soft and it’s skinny fit too! My name is Devon Cooney, I am 21 years old, a first year midwifery student and the owner of Tiny Sprout Co! 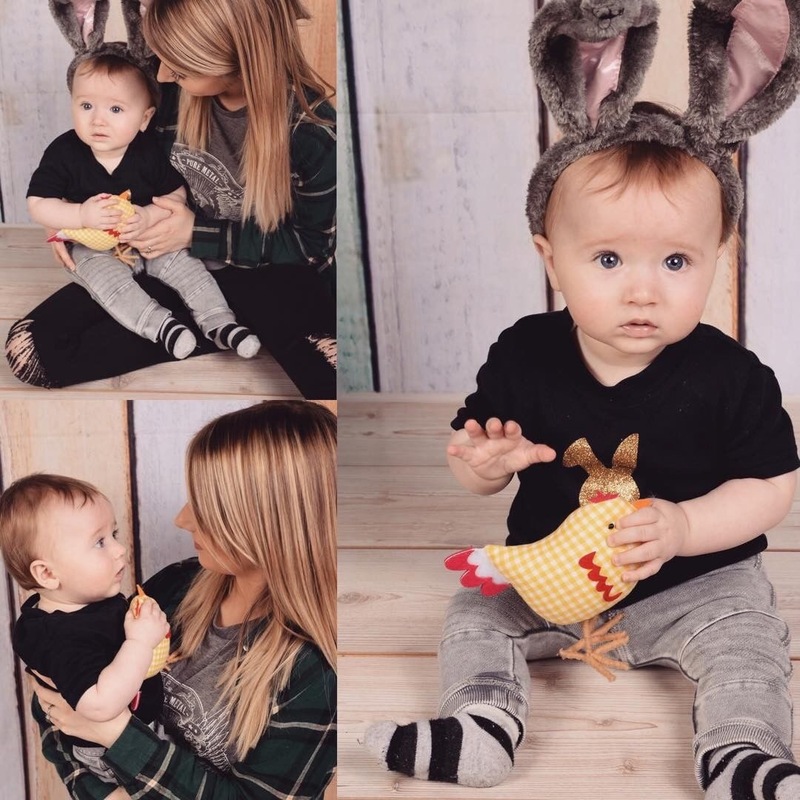 I’m currently on maternity leave since having my son Teddy in August (who is now 8 months old), and plan on returning to my studies in June. But I will continue making custom and personalised baby and kids clothing – I like to keep myself busy! Luckily I have an amazing support network (primarily my amazing fiancé) who makes it possible to juggle and manage everything. I started my business @tinysproutco a few months ago, mainly as a hobby, however I have been overwhelmed with support! I appreciate every order I receive, and love seeing photos and hearing feedback from my customers. I am currently using Instagram and Etsy as my selling platforms but I plan on opening a website in the future. I hope to one day be as successful as some of the many talented instagram shops currently out there! So all in all…. These three mums have done a superb job building up their brand… & that’s definitely one of the hardest parts – BUILDING YOUR BRAND! Brilliant write up, i personally know Chloe who does the paper peony her work is amazing and infact she has ordered from myself as a small business i am found on instagram as @woodenitblovely. 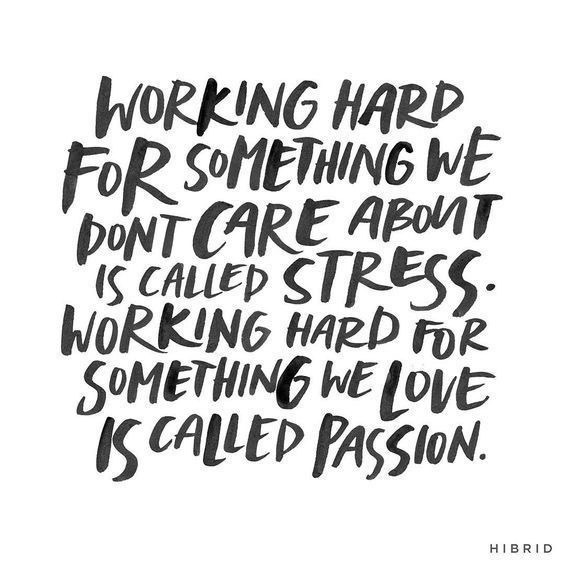 Its great to be able to work from home with 2 small children and it doesn’t clash with our daily lives! 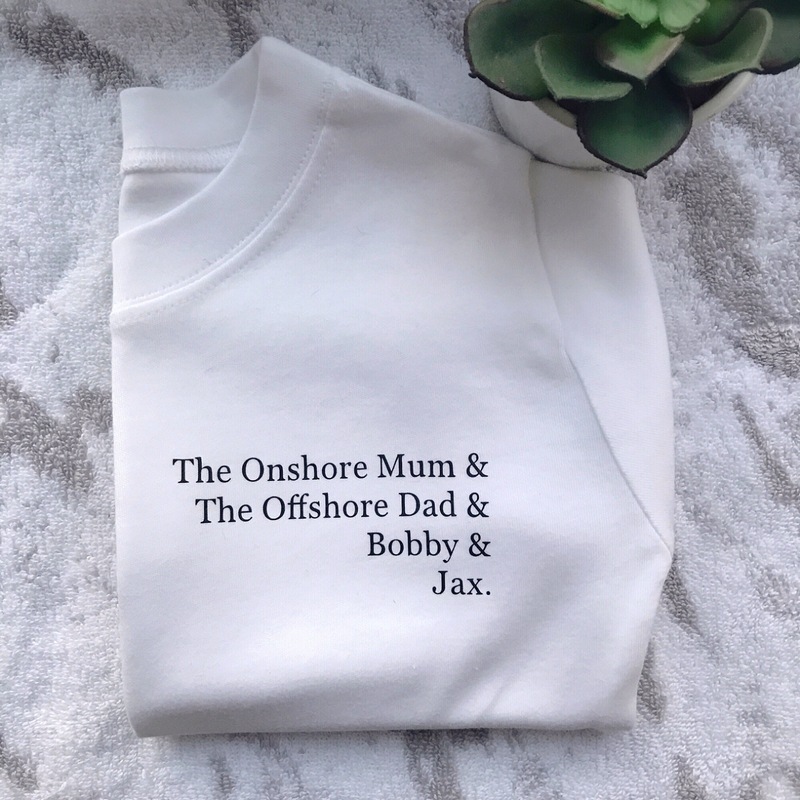 Absolutely brilliant ideas from all 3 ladies.I have had a tee shirt for my 8 yrs old Grandaughter from tiny sprout Co. &have ordered 2 more.Will also visit the other sites you mentioned. Thank you for bringing them to our attention & wish them all well in their businesses. Previous PostPrevious Why I Only Wash My Hair Once A Week! 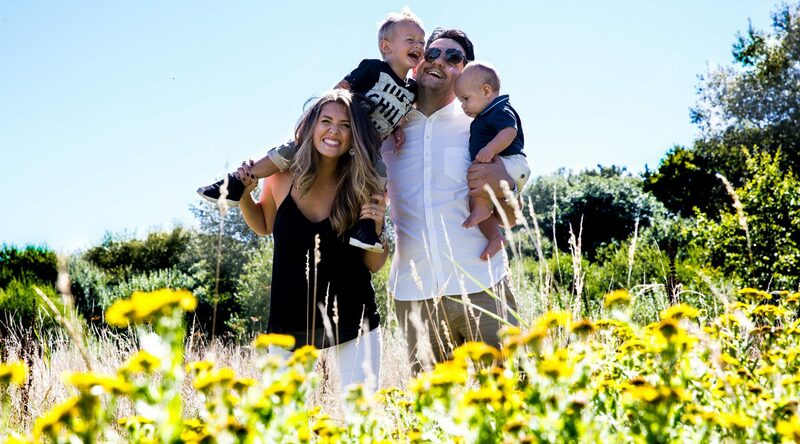 Next PostNext Must Haves for Mums & Dads!